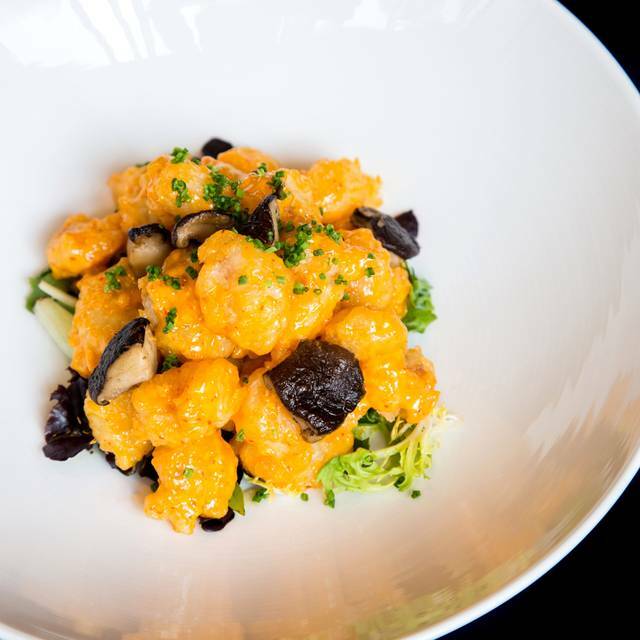 Nobu Shoreditch is located within walking distance of Old Street, Liverpool Street and Shoreditch High Street stations. 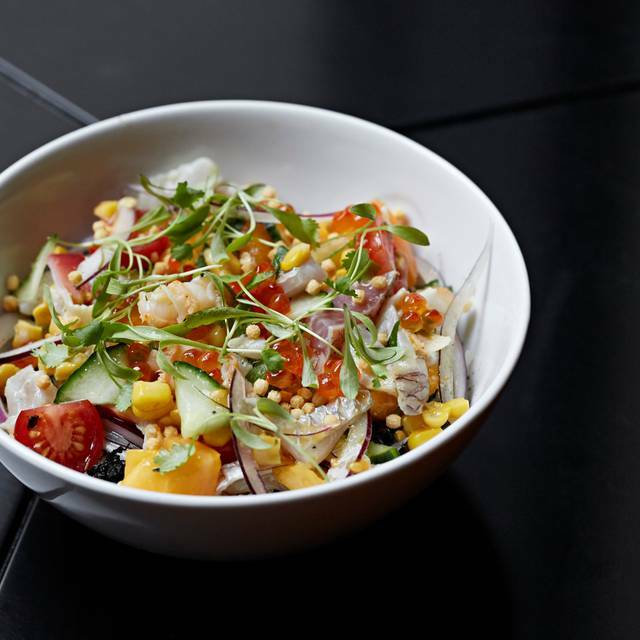 For selected nights, Nobu Shoreditch hosts an evening DJ set with an atmospheric mixture of musical genres. 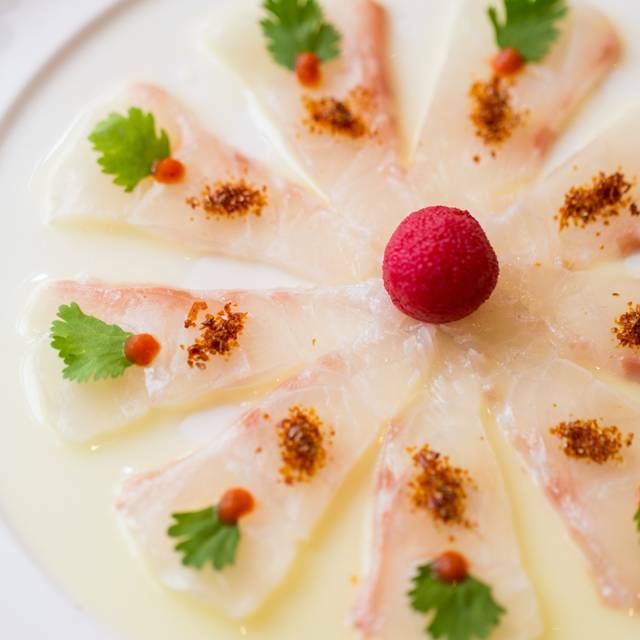 The world renowned Nobu cuisine is an innovative interpretation of Japanese, Peruvian and other South American influences. This diverse celebration of flavours formed Nobu’s trademark ‘Nobu Style’, which is intrinsic to all Nobu menus worldwide. 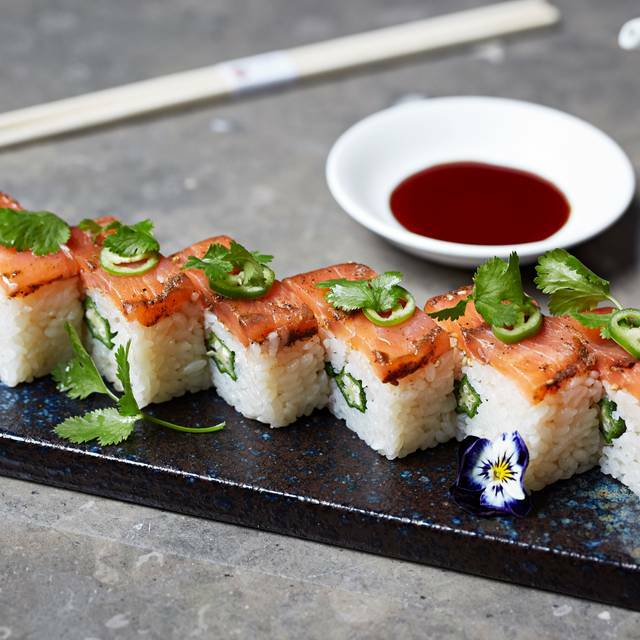 As well as the classic, timeless dishes such as Black Cod Miso, Tiradito ‘Nobu Style’ and Yellowtail Sashimi with Jalapeno, Nobu Shoreditch serves plates inspired by the creativity and vibrancy of the local area, bringing culinary innovation and fine dining to Shoreditch. Nobu Shoreditch restaurant offers a semi private dining space overlooking the custom built, open kitchen. The dining room hosts up to 24 people and is located in prime position, allowing diners to experience the theatrics of the energic Nobu kitchen and witness the Executive Chef, Sergio Martinez and his talented team creating culinary delights. Located within Europe’s first Nobu Hotel, the brand new Nobu Shoreditch restaurant is an exciting addition to the east London dining scene. 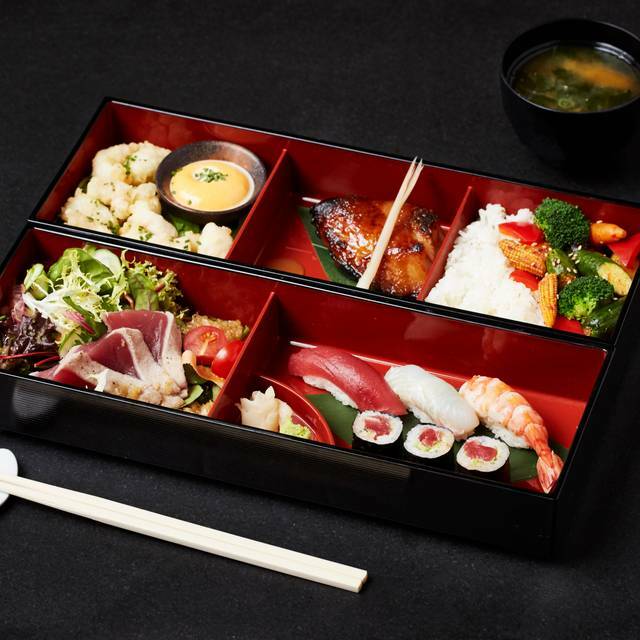 London’s third Nobu restaurant boasts 240 covers, a sushi bar, semi private dining spaces and a 4-terraced courtyard. 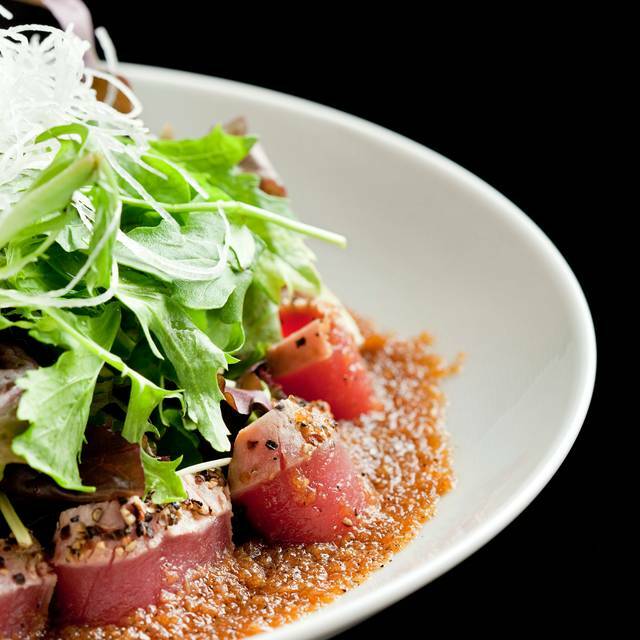 Pioneered and created by Chef Nobu Matsuhisa, the iconic Nobu menu is influenced by his years of studying Japanese cuisine in Tokyo and his extensive travels. Designed with the iconic Nobu aesthetics at its heart, the restaurant space radiates a dynamic yet classic energy synonymous with the Nobu brand. Throughout the restaurant there is a palette of rich oak timber, cut into varied grain patterns (solid, veneer and crown). Food was honestly average, but great ambiance. I was expecting something overwhelming, but...overall, the experience was great if you are in the bar area because of the spectacular view (the seating area next to the kitchen is a bit dull). Staff was courteous though and friendly. A wonderful buffet selection. Great value for very fresh sushi options. Main of black cod miso and steaks were tasty. Good dessert selection as well. Staff were really attentive and realised that there were two birthdays and provided a surprise treat. Only challenge was when we trying to pay the bill, couldn't get anyone to acknowledge or pay! 2 year anniversary with my girlfriend, we both love Japanese food and I knew that Nobu was of a high standard before booking. We had the Omakase 110 menu each. 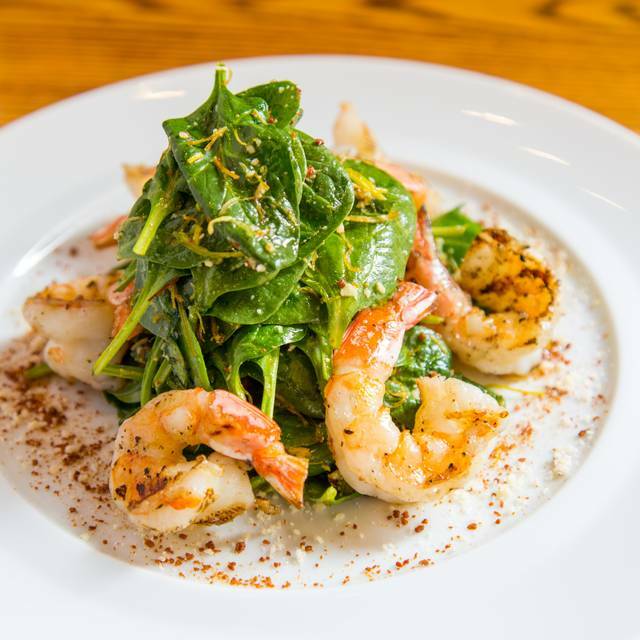 It was amazing from start to finish the food was worth the price, service was impeccable with all the staff I encountered being of a high caliber. Especially good barman who had my slightly tipsy off one sazerac (I told him to keep the absinthe in). Overall a great experience, highly recommend it. 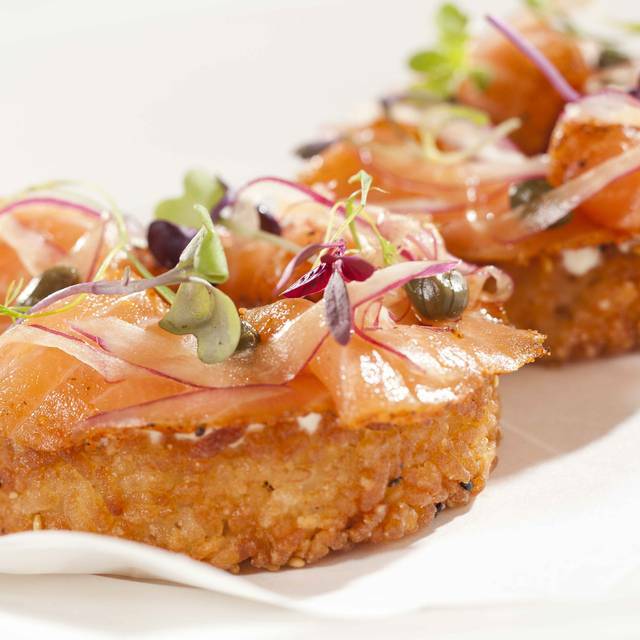 Consistently amazing food prepared by chefs at the top of their game. Having lived next to Nobu Tokyo for six years, expectations from Nobu Shoreditch were high. They did not disappoint. Sushi Counter experience was enlightening, as we watched our favourite dishes being prepared in front of us. Yellowtail Sashimi with Jalapeño, Soft Shell Crab rolls and gorgeously tender Rib Eye were the highlights. We visited their newly opened Hanami Garden at the end providing a romantic setting the end the evening. A massive thank you to Head Sushi Chef Hideaki Mizushima for looking after us. Good food but too noisy we couldn’t hear the waiters and they couldn’t hear us so we didn’t know what exactly has been advised to us and what we ate ! After a sketchy start (as a regular - both me and my firm - I had hoped to be better positioned; the drink described as tart and spicy was super sweet and not at all spicy and to make matters worse, the waiter insisted I was wrong...), all went great - we were moved to a perfect table in a booth and the manager on duty was amazing, even bringing us each a glass of champagne to make up for the previous issues. The food was good (better than Mayfair Nobus) and the vibe nicely buzzy. All in all a great night that met expectations (eventually - thanks to the manager on duty!). Amazing! Had Sunday lunch menu and couldn’t have asked for more. They had run out of the octopus by the time we went up to the buffet area but chef quickly put together a plate for us. One of the best Nobu’s we have been too. Food is great and staff very friendly. We will definitely to go there again. This was the most sensational restaurant I've experienced so far! The service, the professionalism, the food, the drinks, the people, the atmosphere in general are outstanding. I would highly recommend it for having a good time...great for birthdays or partying! Thanks to Joshua who was our personal service manager - excellent job! Big fan of Nobu's other restaurants so was intrigued to try out this brunch option at Nobu Hotel Shoreditch. We had the option with bottomless booze for two hours which included a good selection of prosecco, cocktails and beer. Unlike most places that offer bottomless brunches, you're not fighting to get more drinks rather topped up or given another when you're finishing your glass. The food was delicious with an excellent selection of sushi, sashimi (traditional and new style) and some other cold Nobu classics at the buffet. What makes this experience really brilliant is the choice of a main dish each, we chose to share black cod and rock shrimp tempura which were just as excellent as any of the other Nobu restaurants. Dessert is included too which had good variety and a bit of Flambé theatrics should you wish. Really impressed with the whole thing, food, drinks and service. Can definitely recommend to a Nobu newbie or a seasoned restaurant goer. Excellent food bordering on a heightened sensory experience. And thanks to front of house staff for clocking it as a special occasion and organising a treat accordingly. Really amazing food. It's pricey, but the cooking is of a really high standard and the food full of flavour. Best for a special night out. The ambience was a little lacking but I think it's more about the food and who you're with. Cannot fault the experience. 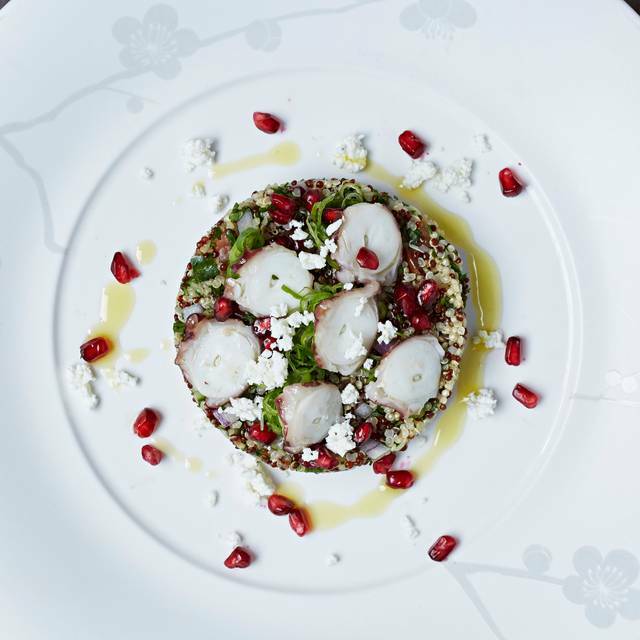 The food was exquisite as it was when I had visited Nobu Piccadilly previously. The dining room was elegant yet relaxed and the service was excellent. The food was excellent and the staff amazing. Wagu and Sea bass were superb! The menu price for the brunch has increases from £45 to £53. When asked why the website was wrong, no apology or attemt to explain. A shrug was offered. This is an increase of almost 20%. The I dont care attitude is consistant in the service offered. The hot main courses arrived before we have seated with the cold starters (that is a buffet service). Again no attempt to be helpful when raised. The food is good, but the service and care is like a Wednesday night shift at a suburban Nandos. The quality of the sushi is exceptional given this is a buffet. The service was good but slightly over attentive. Third time here for brunch and price has seemed to have increased while the buffet was still the same. Service was exceptional; welcoming and prompt waitering. fantastic foo. could be quieter but not disruptively noisy for a table of two. service was attentive and prompt. Nice environment and food was delicious. Staff was so friendly and Special thanks to Vincent for an outstanding customer service. The guy is fantastic and really knows what he’s doing. This was my second visit and the service on this occasion was much much better and how it should be. So I will put my first experience on the 13/02/19 down to being a busy night with early valentines celebrations going on which resulted in a poor dinning experience. Celebrated my daughter’s 21st Birthday. It was amazing. Will definitely make it my new hot spot!!!!! Enjoyable time at Nobu Shoreditch. Service was excellent, the food came at really different times which made that annoying for my partner and I. Food price is expensive as expected, and overall, this was a good experience for the both of us. Food was good. Service was a little bit slow. Once the shift changed the experience was great. Overall great as usual. Im not sure whether we were unlucky, but our table was near to the kitchen, and we were bombarded with clouds of garlic and spiced based fumes for the duration of the meal, to the point that the ambient smells took over from the taste of the food. Great to experience the kitchen and see what is going on, but the overtly strong scent really did become overpowering - not sure if the extractor was working correctly but I wouldnt want to visit again, and sit anywhere near. Clothes from the night, still bore the smell the next day. As delicious and reliable as ever and indistinguishable from the Metropolitan where we usually go.